I’ve just started freelancing in the middle of July and I’m currently juggling a few different clients in addition to working on my own personal projects. Within a week I ran into two problems! The first was that of managing my time efficiently. Normally I would use Harvest for time tracking, but I found that I need to block out my time in advance so that I split my time between my clients and my own personal projects without neglecting anyone. I’ve read over and over again that planning your activities in advance helps you be more focused and effective. The second one came in the shape of FreeAgent. I’ve had to switch over to FreeAgent on my accountant’s request and whilst it’s excellent (so far) it is a little lacking in the time tracking. You just enter your time after the fact. I’ve used Harvest for a long time and they have excellent time tracking, but it doesn’t make sense to use both applications. I did some searching around and I couldn’t find anything that covered both of those problems, so I decided to make one. If you’re reading this and you know of any other apps that solves this, I’d be grateful if you could let me know! I want to add a few things to this over the next few days and weeks. 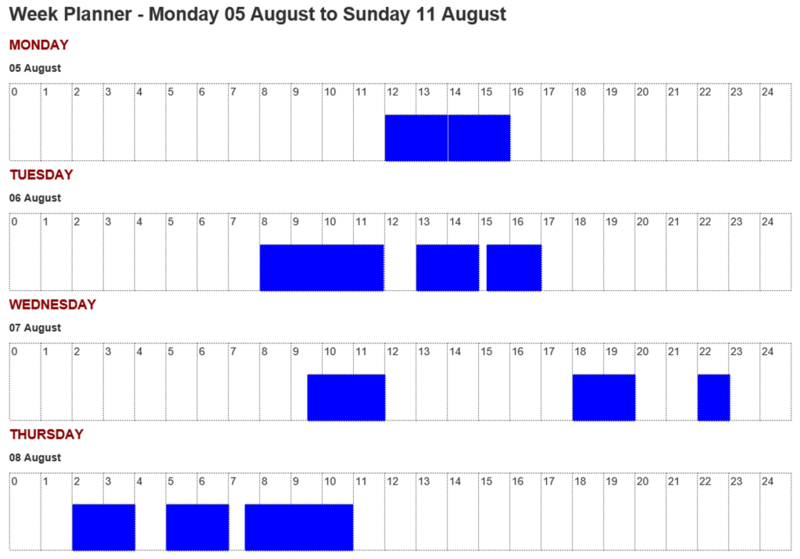 Pull in appointments from real calendars. I use Outlook.com. Add a (working!) time tracker and integrate with FreeAgent so that timesheets can be created. Colour code the appointments and integrate with Trello. If you’re a freelancer or just want to plan your time on a daily and weekly basis, I’d like to get your opinion. You can signup and kick the tires at http://dayplanner.azurewebsites.net – any feedback would be great.